Five Oaks Family Practice serves the population of Beswick and surrounding areas. Established in the early 20th Century, the practice was originally run from a small terrace opposite the Pin Mill at Ancoats, it later moved to Beswick Health Centre in 1962. Unfortunately a fire devastated the building in 1995 and the practice was temporarily housed at the Bradford Day Centre for 4 years. 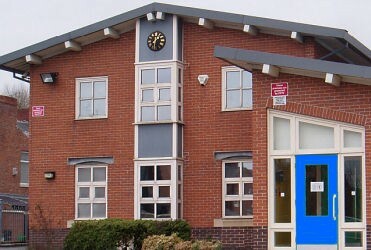 Today’s modern facilities at Oak House opened in July 1999. In tribute to the founders of the practice, we fondly remember Drs Buckley, O’Sullivan, Brown and Cohen. Dr Johnson & Dr Rathi joined the practice in 1975 and 1977 respectively. Following their retirement the practice continues to develop under the leadership of the current GP partners, Nursing Team, Practice Manager and Reception Team. All involved with the practice both retired and current staff have played a major role in shaping Five Oaks Family Practice into the thriving and forward thinking practice it is today. The staff at the practice work closely together as a team. We aim to treat all our patients promptly, courteously and in complete confidence. We offer a full general practice service and specialist clinics for antenatal care, family planning, child health and immunisation, diabetes, asthma, COPD, heart disease, weight management, smoking cessation, travel vaccination and substance abuse. We are a training practice and provide placements for GP registrars, medical students and student nurses. You may be offered an appointment with one of our registrars and from time to time they may ask permission to video tape the consultation. Students may be present during an appointment you have with your GP or Nurse. If you have any objection to any of the above please let the reception staff, doctor or nurse know.